At Aelieve we have conversions experts test, learn and deploy winning digital experiences, every time. Our team will work together to analyze and take advantage of the conversion potential of your traffic, and look for ways to convert more of your traffic into customers. Conversion Funnels let you quickly see where people abandon a process on your website such as “checking out” or “creating an account”. Adding of conversion scripts that allow us to track user experience from beginning to end. Clicking on any step of the funnel will automatically filter all of your recordings to the ones where people never proceeded to the next step. Creation of goal based thank you pages. An overview of visitor performance on site. Conversions based on phone calls. Animated page element to catch your visitors attention. Allow us to track events that happen on page. An analysis of where traffic is flowing to so we can prioritize specific pages. Your personal CRO expert that will take all necessary steps to get the best bang for your buck. A full analyze of your website along with ongoing testing so your ever improving your ROI. The conversion audit report is delivered to the client and includes the Ometrics Conversion Score to pinpoint exactly where and how the website or landing page can be improved. Multivariate testing is the testing method that is used to prove a hypothesis around changes made to a website to improve conversion rates. Rearrangement of specific on page elements related to the header and footer. Our audit collects valuable information on how users are interacting with the website, including design elements. Suggested changes can range from simple copy and colour tweaks to re-arranging entire page layouts. Implementing the recommended changes provided by our experts will result in increased website and landing page conversions, they will reduce the cost per acquisition for each lead, and optimize your PPC campaigns. We’ll analyze multiple landing pages to make sure your getting to most out of your ads. Make the most of your digital ad budget with CRO testing on your ads. We dive deep into your competition to find out what they are doing right. Advanced targeting. Demographics, In-market, intent, audience, content keywords. What field is causing issues if any. We create on page forms and optimize from there. Even if a form is partially filled out the information is still captured. A user experience report determines what your website does well and what it could do better, all from a visitor’s perspective. It shows you everything you need to do to streamline your website. Automatically create a recording of every visitor to your website. Quickly filter and segment recordings so you can see exactly why visitors are not converting. 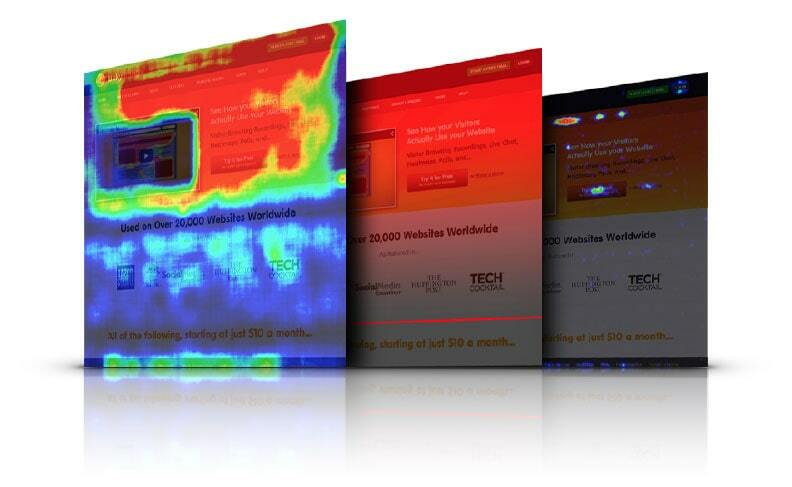 beautiful heatmaps that show you how people read and interact with your site. Build out key demographics or your ideal customer. How far down a visitor pages it down the web page. Increased traffic won’t help you reach your business goals unless some of that traffic converts. Having your visitors perform a desired action once they land on your pages is the driving force behind increased revenue. Aelieve understands that maximizing client conversions is fundamental to your success. Some Tasks Included in our CRO Services Include? Confusion is the number one reason people leave websites. If your site has a difficult-to-use interface, or isn’t accessible on mobile devices, many visitors will become frustrated and leave. A website redesign can boost conversions from qualified visitors without making any modifications to Internet marketing plans. Conversion funnels are the paths through your site that visitors follow before converting. Each page between an entrance page and a conversion page is an opportunity for your visitor to become distracted and leave. If your conversion funnels are too intricate, potential conversions will leave the path and that conversion will be lost. Conversion funnel analysis ensures that qualified visitors stay on the right track to conversions. Even if your site is extremely easy to navigate, your traffic quality may be too poor to encourage conversions. Your website should be written and designed to attract qualified leads, or visitors that are likely to convert. If your Internet marketing campaign brings unqualified traffic to your site, your conversion rates will be lower. An in-depth analysis of your Internet marketing campaign can help you attract the right visitors to your site, and cater your content to the ones that are likely to become customers. All too often, website copy is written from the perspective of the company, and doesn’t adequately address visitors’ questions and concerns. Professionally written website copy provides the information vital to understanding each product or service, while also persuading qualified customers to convert. A tweak to the tone and content of your website copy can transform interested visitors into conversions.